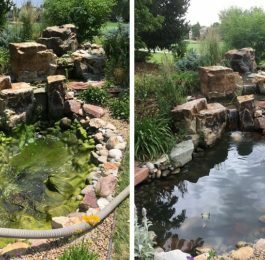 When the sun begins to heat up our summer days, our ponds may get green. 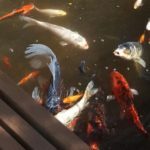 Algaecide may seem appealing and is useful in some situations, but know that while it may quickly kill off algae, it can quickly kill off your fish too. 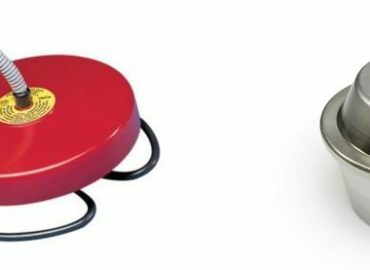 Be sure to read the instructions carefully and call a professional if you need help. Algaecide works by removing the oxygen and suffocating the algae. It is also hard on plants, beneficial bacteria, and fish. Algae itself puts oxygen into the water. 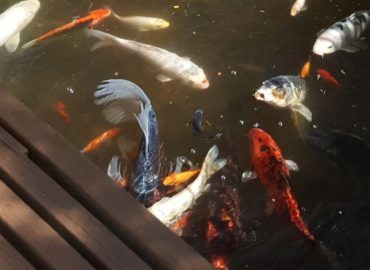 For that reason we recommend only treating ¼ of the pond at a time. 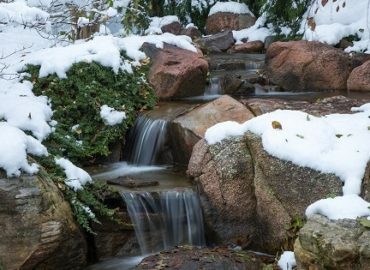 When treating algae in a waterfall, turn it off and sprinkle dry algaecide onto the area, leaving it sitting without the waterfall on for 30 minutes. 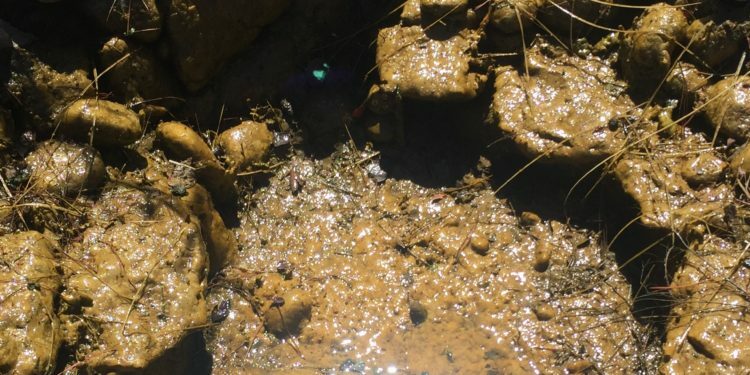 The day after using algaecide, make sure you add beneficial bacteria to either replace what has likely been destroyed or to add it if it has been absent. 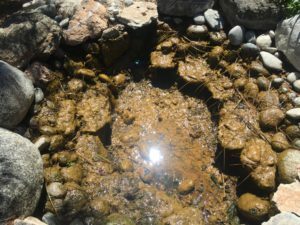 When large amounts of algae are present, we know that the balance of the eco-system is off. 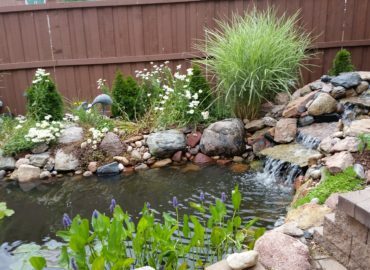 Getting it back in balance will help your pond look beautiful again. Algaecide can destroy good parts of that system so they need to be replaced several times after a treatment. 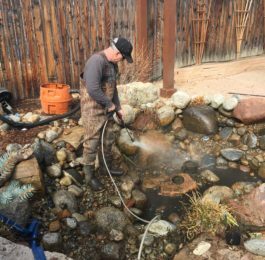 If your fish are coming to the top of the water and seem to be gasping for air after an algaecide treatment, then too much has been used and you are at risk of losing fish. Do a partial water change, adding detoxifier for protection of the fish. You can also put in an aerator to get more oxygen flow going and hopefully keep the fish from dying. 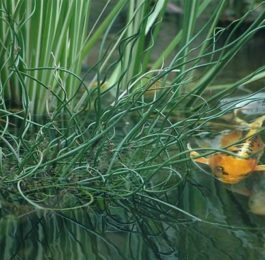 Remember that overuse of algaecide can cause future outbreaks of algae -- worse than the original problem and can damage plants and fish. 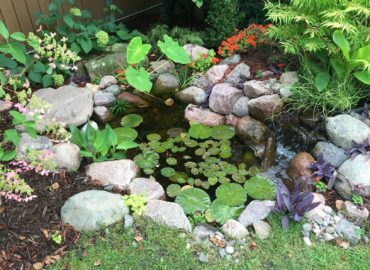 If it is necessary to get control of algae, follow directions to the letter and make sure to get the pond into balance after its use. 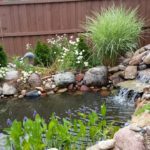 Do I Need Plants in My Pond? 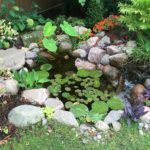 Is a Cleanout Right for My Pond?